Diane Mott Davidson has a wonderful cookbook coming out this week, called Goldy's Kitchen. It's a compilation of all of the recipes from her mystery novels (plus a never published before chapter with health-conscious fare), stories and reminiscences. 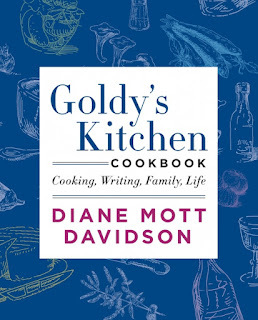 It's a wonderful cookbook full of the personality that make Diane's novels so much fun to read. 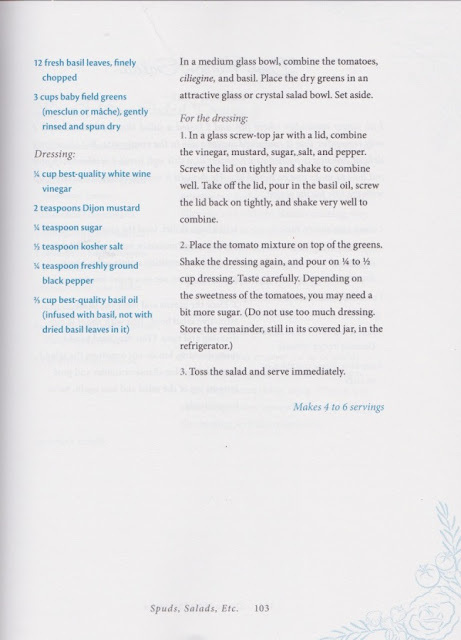 Here's her recipe for Caprese Salad from the book included in the book. 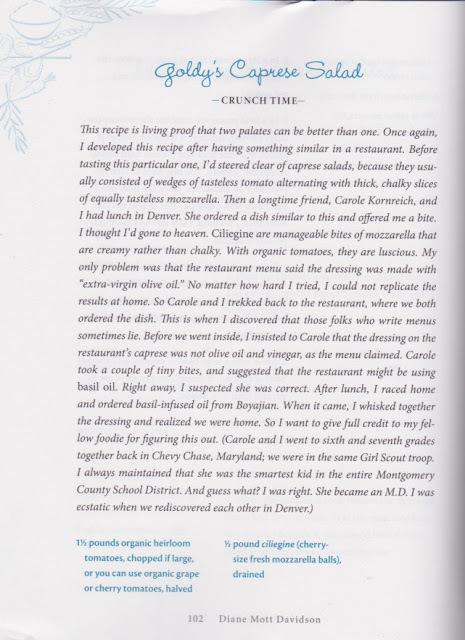 This gives you a feel from the stories she includes with the recipes. Here she is as she "pretends" to make Chocolate Snowflake Cookies because she couldn't bring and oven and a blender to the ALA conference. 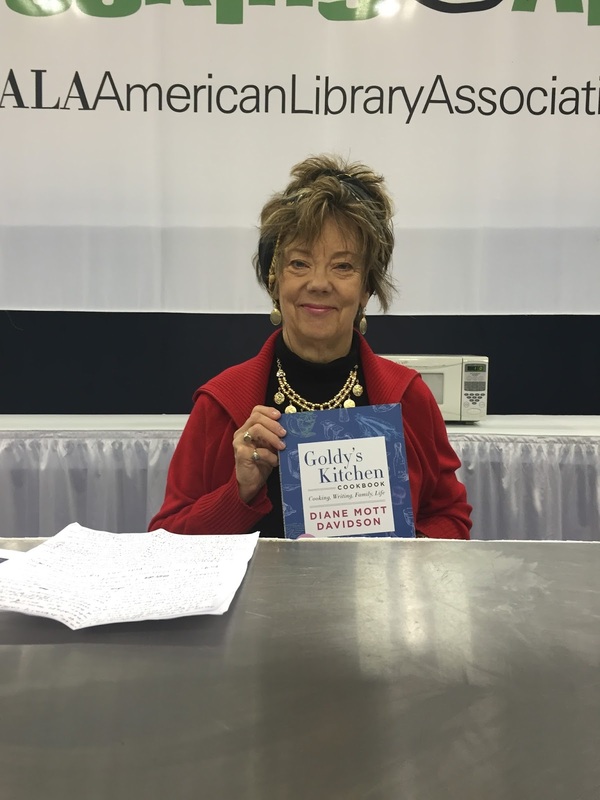 If you love stories and food, you'll love Goldy's Kitchen. I have always enjoyed and loved Goldy's adventures. I can't wait to get ahold of this book and try some of these recipes.